Do we ever outgrow our need to build awesome buildings with LEGOS? They didn’t make great building kits like this when I was a kid, but for grandkids, it’s a no brainer to get these kits. I was a bit surprised that this particular building seems to be for girls. I thought such a roller coaster or a theme park would have universal appear for both genders. Push-along coaster features 4 carriages, each with a sitting mini doll. Control panel with levers, camera and a long track with obstacles along the ride. Accessories include: 2 tickets, coin, bill, 2 photographs, a map, boxes of popcorn, watermelon slices, apple, hot dog with bun, water bottle, soda bottle, sunglasses and a hair bow. There are 4 mini dolls: Emma, Andrea, Matthew and Naya — all dressed in summer outfits. It’s an exciting kit that will give your children many hours of fun. The recommended ages are 8 to 12 years. The LEGO Creator Expert 10247 Ferris Wheel Building Kit caught my attention. It’s suggested for ages 16 years and up. The accessories include a pretzel, balloon, 2 ice cream cones and an ice cream scoop. You can motorize the Ferris Wheel which really appeals to me. The Ferris Wheel measures over 23 inches high, 21 inches wide and 14 inches deep. I love the rain, but not the flooding. Too much of a good thing can somethings lead to trouble. I’ve been thinking about digging into some jigsaw puzzles. They are a wonderful rainy day activity. Treasure Hunt Bookshelf is a 1000-piece jigsaw puzzle by Sunsout Inc.
SunsOut jigsaw puzzles are made in the USA on recycled board and Eco-Friendly, soy-based inks. They have 1000’s of designs for all ages. This is a fun puzzle that is fairly easy to assemble with looks of interesting “treasures” to find along the way. It’s designed for ages 8 years and up. It is a fun puzzle to put together with the whole family. It’s always fun to have jigsaw puzzles around. These goggles are from RavensBlight and look so steampunk. You can personalize them, too. I’m sure you and your children will come up with hundreds of variations — different colored lenses, using plastic sheets, adding metal gears, buttons, feathers, wire, pipe cleaners, stir sticks, or whatever you have around the house. I think this would make a fun family project one evening . . . or a rainy or snowy day . 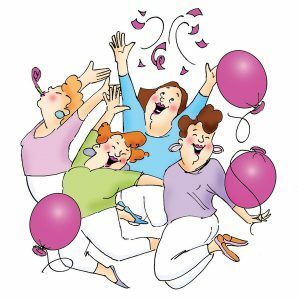 . .
I’m trying to tie them into some holiday celebration, but nothing comes to mind . . . unless for a birthday or even Valentine’s Day . . . definitely for next Halloween . . . They just need a story to go along with them. I’m surprised Ray O’Bannon, the creative genius behind RavensBlight hasn’t come up with one. 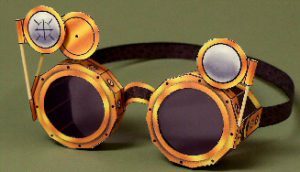 I’m thinking of how a busy mom got looking around the haunted toys of RavensBlight and came across this pair of goggles. They were just plain ordinary looking goggles, but when she put them on . . . she couldn’t believe what she saw. She saw herself in her home, working on her paper craft projects. She also saw the laundry coming out of the laundry room, marching up the stairs and folding up to fit in drawers or put on hangers in the closet. The vacuum was running itself and the dishes jumped into the dishwasher . . . after the cycle jumped into the cupboards. Was this some futuristic thing . . . could these goggles be used to program all her daily and weekly tasks to complete them automatically? She found a panel of gears and gadgets . . . would these work? She wondered. She found some levers and thought about mounting them on her goggles . 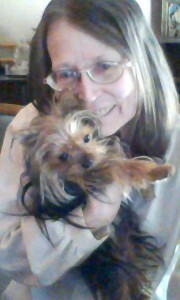 . . she found some wire . . . all color-coded . . . She changed the lenses to different colors . . . Piece by piece she created her goggles and while going through the process thought of each piece as being a task. By the time she finished making her goggles, she decided it was time for her to begin straightening up the house . . . but everything was done. Looking at the time, she grabbed her keys to go pick up the kids. While waiting, she thought of the goggles . . . and other tasks she would love to have them perform . . . fresh baked cookies . . . groceries . . . dinner cooking in the oven . . .
She decided to hide her goggles the minute she got home. No way was she going to allow these goggles to get into the wrong hands . . .
Isn’t that something. Something so powerful that could benefit everyone would give a mother pause . . . afraid of what would or could happen if gotten into the wrong hands . . .
Well, I’m not concerned they will get into the wrong hands. I’m hoping you will make dozens of these and show your children how to make them, too. Maybe they could tell their own story of what each part could do . . . It would be valuable family time you can share. Just click one of the images of the goggles above to be taken to the PDF — sorry, I got caught up in my story. 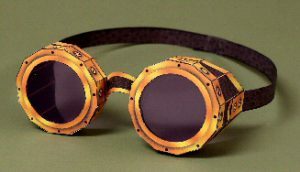 I hope you make up quite a few of these goggles and have a fun time paper crafting and imagining with your family. With the holiday . . . I’ve been doing other things . . .
Just as I imagine you have, too. Time to get the tinsel out of your mind and spring forth with a brand new year. A time for making resolutions and planning ahead. I don’t know how that has worked out for you in the past, but this is a new year . . . one of moving forward in a positive manner. I’m not one for making resolutions. I make suggestions as to how I would like things to be for me. I do need to remind myself that I can only change myself and my attitude about things . . . not necessarily change others or circumstances around me. I try to stay away from the negative. Negative comments, negative news, negative situations . . . negative thoughts . . . And when I do encounter them, I choose not to be engaged in them, but to move on with something more positive. Maybe a bit of a Pollyanna style of looking for the good in everything. This is making me think about any product reviews I put on this website . . . Well . . . if a product doesn’t work, it is not truthful to say otherwise . . . So, I may have reviews in the future that may be negative. I don’t think that contradicts my earlier statement of looking for the positive . . . There are just some products I can’t promote, especially if I find they don’t work or I wouldn’t buy them or they aren’t that good. We’re talking about your money and my money. Don’t buy junk. Now that we’re on the subject of products. I think a review may be in order. I want to revisit a product I reviewed some years ago . . . I do like the concept of having a freshly brewed cup of coffee — nothing setting in the pot. This coffee machine brews multiple K-Cup Pod sizes, 6 ounce, 8 ounce or 10 ounce. If you like your coffee strong, use the 6 ounce brew size. The large 48 ounce water reservoir allows you to brew 6 or more cups before having to refill it. This is great when you have a group of family and friends who want their favorite brew — maybe a flavored coffee, hot chocolate, a regular cup of coffee . . . or other variations. It’s always fun to give your family and guests what they want. I do like the concept. We do drink a hot beverage one cup at a time and we do want it fresh brewed. So, I think this fills the bill. Also giving you several flavor choices, too. It’s great for everyday and for special occasions, too. A single serve coffee machine has great appeal. I like the concept and think this could be great to have for everyday use and also for entertaining.